Spanish Fork is eight miles south of Provo on I-15 and the Spanish Fork River. Spanish Fork was an out-growth of Palmyra, Located to the northwest. As the community developed, Palmyra diminished and eventually became a suburb of Spanish Fork. In the early days, both settlements existed with one fort, Fort St. Luke. 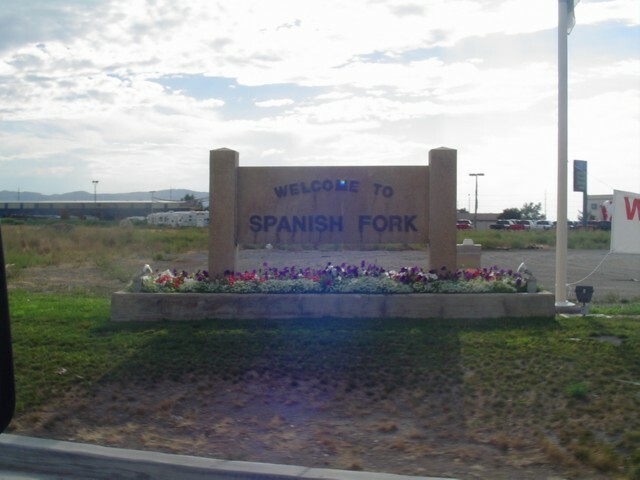 Spanish Fork received its name from the adjacent river, which was named by the 1776 Dominguez-Escalante expeditions.